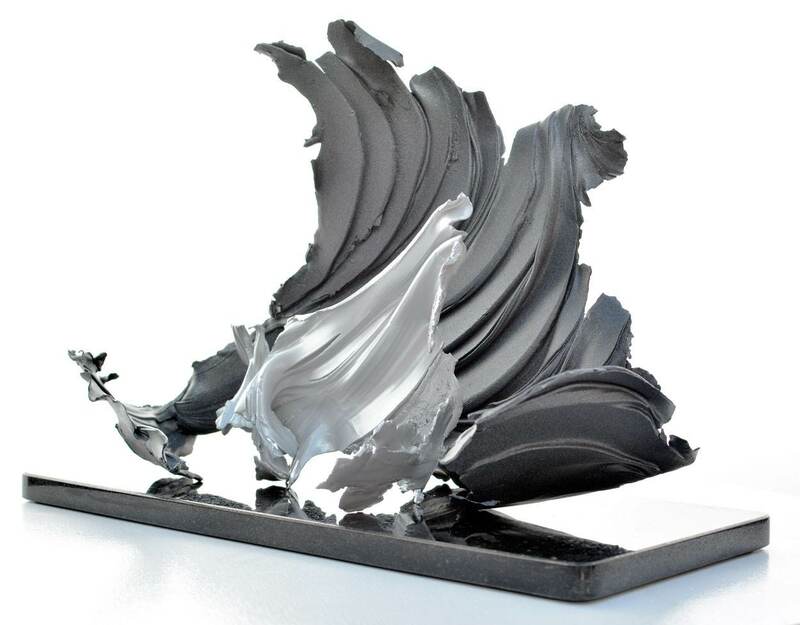 This is an aluminium hand formed sculpture that’s made up of two individually coated pieces of metal set on a granite base. 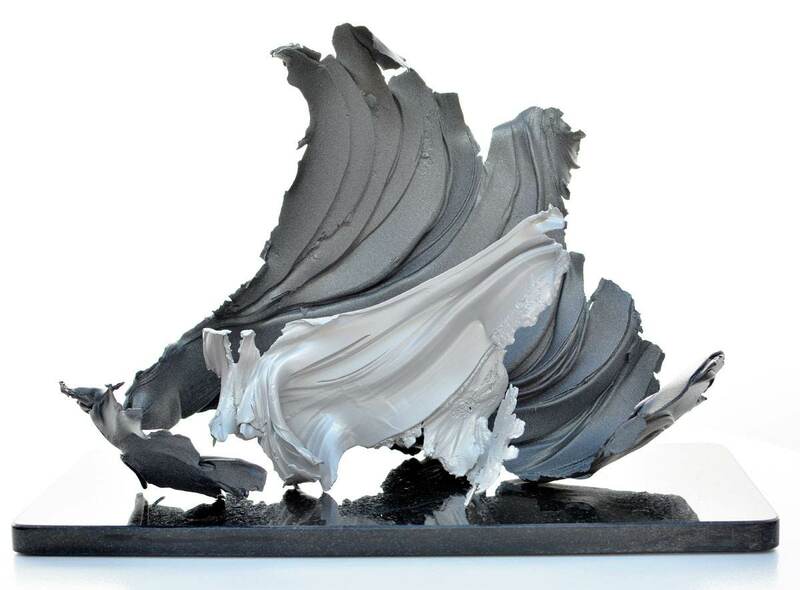 This original, two-piece aluminium sculpture is finished in a light and mid tone of grey. Each of the two finishes have a tiny metallic powder in them so they show the tiniest of sparkle as light hits them. It’s very subtle and a beautiful detail. As both parts are free standing (on the base) you can choose to place each component as you wish. This gives you the flexibility of changing the way your sculpture looks, should the mood take you. What you see in the photos is the way I would place them but it really is up to you. Complete with a hand cut and polished bronze-fleck granite display plinth and an aftercare accessory kit.